According to a report from Punch Metro, the donation of a brand new motorcycle would have resulted in the death of a 21-year-old man, Toheeb Awolesi, who, until his death, was living in the Agboyi-Ketu area, in State of Lagos. 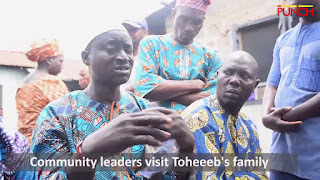 Toheeb's uncle would have bought him a motorcycle for commercial use. However, in a test on Sunday, two of his alleged friends proposed him to test it, which he accepted. But he refused to allow a third person to use it, allegedly because he did not recognize it in the community. This led to a fight that quickly degenerated into communal fighting between so-called Ila Boys and Agboyi Boys. Toheeb quickly became the scapegoat, losing his life. His body was reportedly taken out of the Agboyi River on Tuesday after the family declared him missing since Sunday. When contacted, the police PRO, Lagos State Command, Chike Oti, indicated that investigations had been opened on the problem.